Or he’s waiting for the oil to be changed in his Gremlin. Don’t laugh at the poor fella, we’ve obviously just caught him at an awkward time. 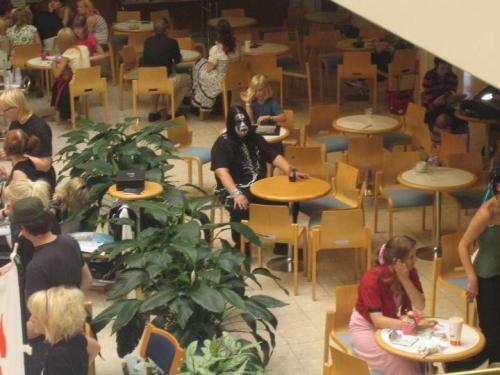 I mean it’s pretty clear he’s just resting while his friends go to Hot Topic. Hepathos you made me lol. lol anime convention… i see aeris. he does look like a the kicked puppy of Kiss though.